While looking at the present state of Uganda’s tourism sector, the pearl of Africa has undeniably experienced a steady progress over the years. An increase in tourist arrivals, new hotels and direct flights into Uganda indicate that the country has surely taken a step forward as far as tourism sector is concerned. The success in tourism and the related sectors is greatly attributed to extensive marketing by the Uganda Tourism Board, which has opened Uganda to the rest of the world. The use of all effective marketing channels mostly social media by the Uganda Tourism Board has put Uganda on the world tourism map. Adding to the launching of the public relations campaigns in European and American mainstream media, UTB has made good use of today’s most effective marketing social media and was ranked second to South Africa on twitter which has attracted an increased number of travelers coming for gorilla treks, wildlife safaris and mountaineering experiences across the country. In the same way, the United Kingdoms’ rough guide ranked Uganda as the fourth best tourism destination in 2017. This year (2017) has been Uganda’s remarkable year in which the country has achieved progress in opening up five star hotels in Kampala hence assuring travelers of quality services. Similarly, roads have been constructed to ease transport to the remote areas of Uganda where national and other tourism attractions are located. Uganda tourism statistics show a steady increase in the number of tourist arrivals to Uganda for the last ten years. In 2016, Uganda received 1.4 million tourists bringing in $1.4 billion according to the 2016 Uganda Wildlife Authority statistics. In 1990, Uganda received only 69,000 visitors, which number increased to 642,000 in 2007 when the war ended. Since then, the country has experienced steady tourist increase except in 2009 when tourist arrivals fell from 806,000 in 2008 to 844,000 which has a great set back. Fortunately in 2010, Uganda received 946,000 international travelers and then 1.4 million in 2016. Similarly, Uganda wildlife authority registered over 245,725 tourists half of whom are non-east Africans visiting the national parks, game reserves and other protected areas in Uganda. UWA is a government body responsible for the country’s 10 national parks, 12 wildlife reserves, 5 community wildlife management areas and 13 wildlife sanctuaries all situated in different parts of the country. Uganda anticipates to receive 4 million travelers in 2020 id the steady increase and tourism progress is maintained. Besides hotels and lodgers, Uganda government has invested in rehabilitation of roads connecting to major tourism spots in the country. The construction of Mbarara – kabale highway and kabale – kisoro high way has eased transportation to Bwindi impenetrable forest national park and Mgahinga gorilla national parks home to the critically endangered mountain gorillas. Travelling time from Entebbe to Bwindi has now reduced to 8-9 hours drive compared to 4-5 days, which travelers would spend in the past decades before reaching those gorilla destinations. The short distance of volcanoes national park from Kigali international airport was a great hindrance to Uganda’s gorilla tourism since most travelers would opt for Rwanda instead of Uganda. The ease of transport to Bwindi and Mgahinga gorilla national parks has therefore enhanced thousands of travelers to book gorilla tours in uganda and Rwanda with ease of travel to and from gorilla national parks. To Uganda’s advantage, Rwanda’s increased incased gorilla permit price has shifted most travelers to trek mountain gorillas in Bwindi and Mgahinga where the permit is relatively cheaper. Travelers are therefore reminded to book six months in advance due to the high demand. 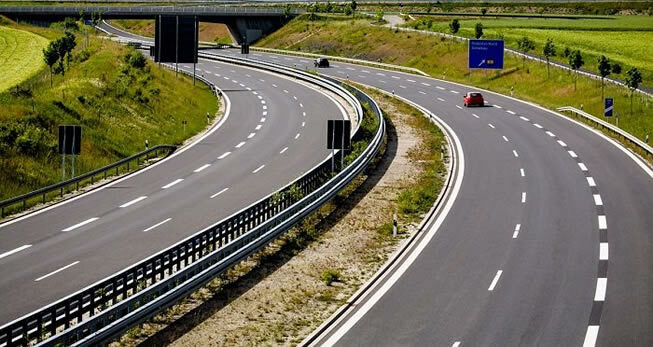 Similarly, the Kampala Entebbe express highway that is still under construction is hoped to ease the connection of Kampala to Entebbe international airport. Though most travelers to Uganda originate form Africa, the government and UTB has tirelessly invested in marketing its attractions in Europe and north America so as to attract European and American travelers who stay longer and spend more money on their safaris. More still, the Uganda tourism board aims at luring more African travellers especially from West Africa, South Africa and Kenya. The government is to hire public relations firms to market Uganda in Kenya, South Africa and West Africa. Game viewing is the biggest attraction for most international travelers to Uganda which reward them with a close encounter with the African big five which are elephants, lions, buffalos, leopards and rhinos not missing out the iconic chimpanzees in kibale and the critically mountain gorillas in the tropical rain forests of Bwindi and Mgahinga gorilla national parks. Besides wildlife, Uganda is a home to the source of the Nile, lake victoria, birds, a high concentration of primates in kibale forest national, park. On the other hand most Uganda tourists form Kenya and Kenya are attracted by Uganda’s bustling entertainment scene. Despite the defunct Uganda airline, the variation sector in March 2017 established the Vule airways while Uganda’s newest airline is to start its flights earlier. Fortunately, Uganda is blessed with many international airlines, which have launches flights to Entebbe international airport in the few years. Of recent, Qatar airways and east African safaris joined the fray while Brussels airlines launched daily flights between Entebbe and Brussels. Conclusively therefore, Uganda is a unique tourism destination which offer it all to meet and exceed all travelers expectations. New hotels have been established to provide quality products, roads ease transport and a variety of attractions are at your display.